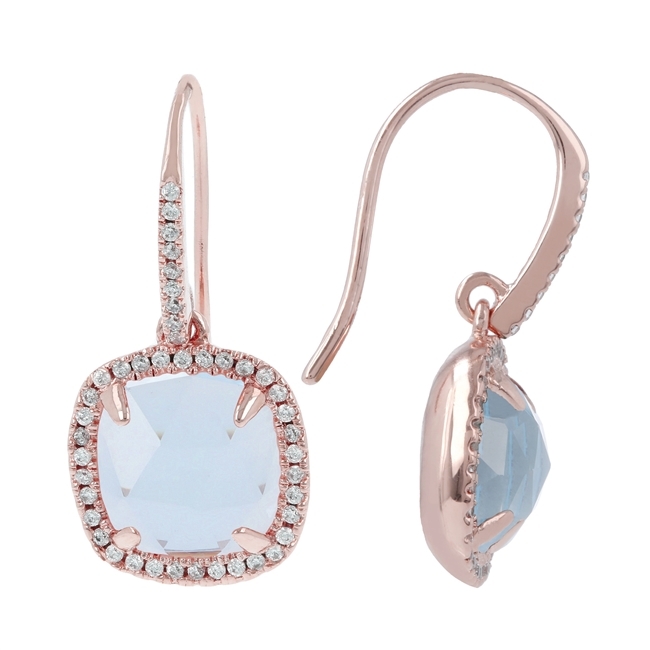 Beautiful, faceted, light Blue Aquamarine Earrings by Bronzallure. The front of the Hook is inlaid with White Cubic Zirconia that sparkle like diamonds. The hinged drop holds a shimmering Aquamarine Gemstone, also framed by CZ's. Made in Italy, they are finished in an 18k Golden Rose' plating.